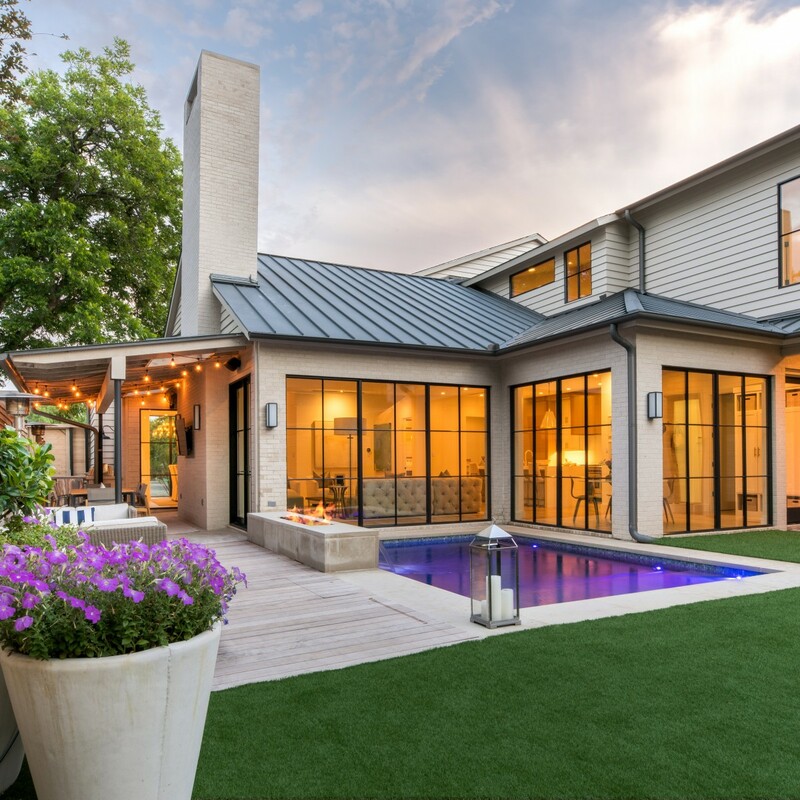 Coming in at #10, this backyard features ample outdoor seating, a fire pit, pool, and plenty of space for the kiddos to run around! What can we say? Beautiful backyards are a favorite! We love the balance and seamlessness of this one—a perfect extension of the transitional interiors. 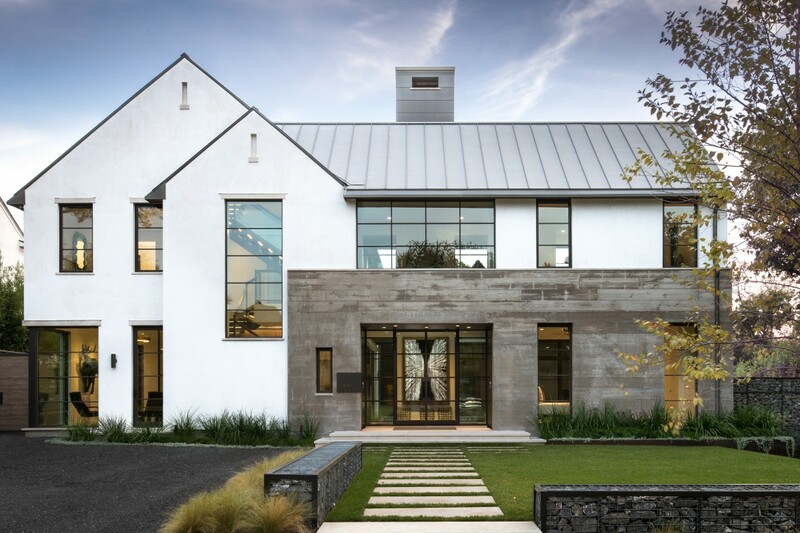 This architectural standout isn't just a top 10 on Houzz, it's also been featured in editorials in Elegant Homes and D Magazine. In fact, we talked about the Dutch Colonial and Cape Dutch architectural elements in our last blog post! We swear by white oak floors, and this is why. 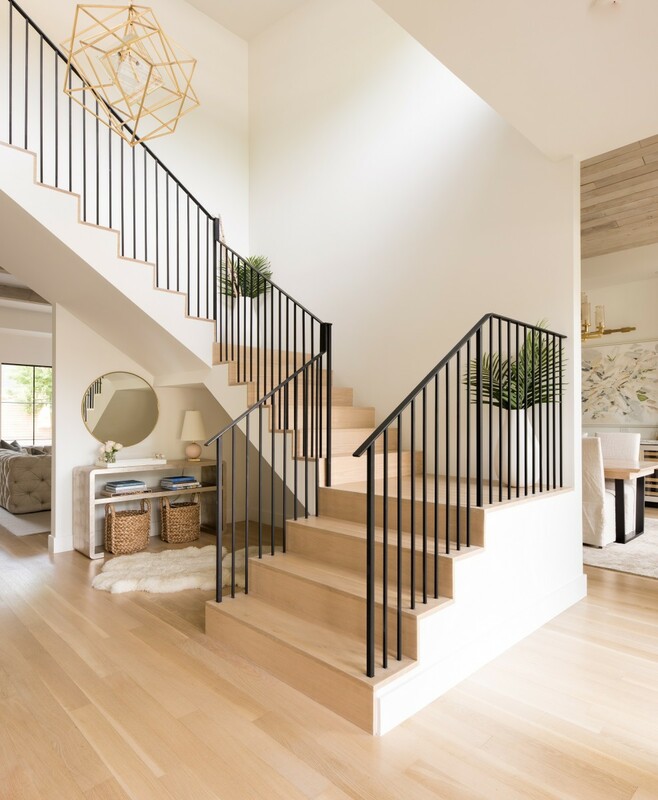 What's not to love about this bright, contemporary entry stairwell? And just around the corner from that stairwell... this beautiful dining room! Painting by Taelor Peters Fisher and Liaison Triple Tier Chandelier from Kelly Wearstler. This list wouldn't be complete without a touch of modern. We get so many questions on the form board concrete framing the main entry! This timeless, sophisticated study will always be a favorite! 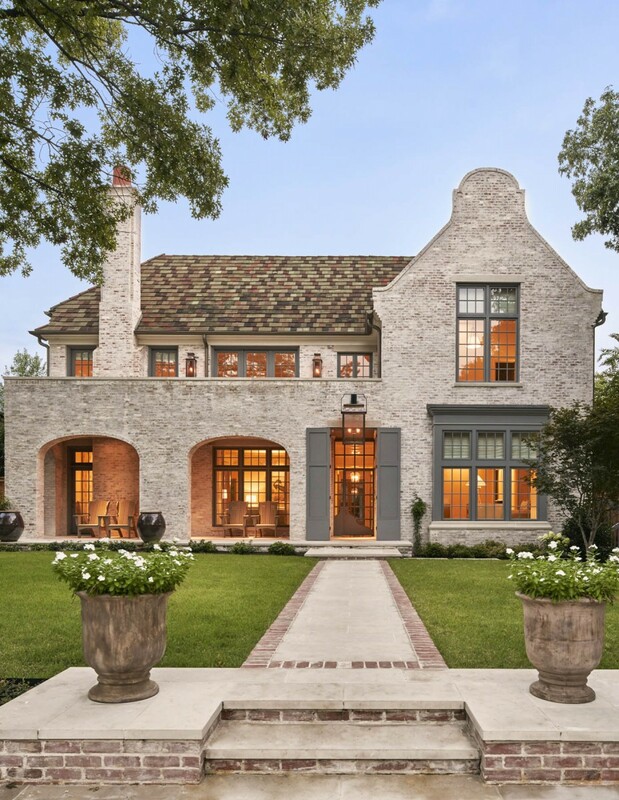 Check out the Traditional Home Modern Classic Style bookazine for more on this project. 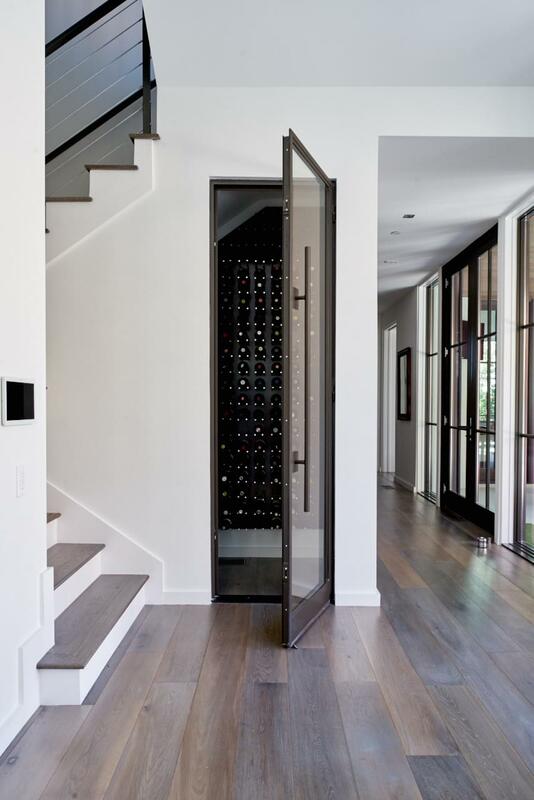 Who needs walk-in closets when you can have walk-in wine rooms? 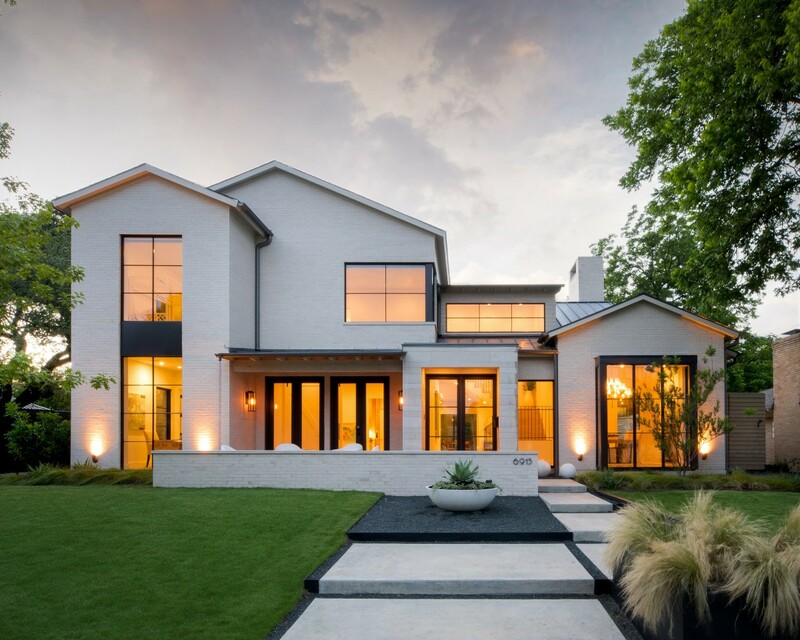 This exterior has all the right ingredients, from the eye-catching walkway and natural stone accents to the aluminum clad windows and standing seam roof. #1 - First Place Fireplace! And taking first place, this cozy, contemporary living room. The perfect place to curl up and catch some March Madness!